You are required to have full accountability throughout your global food chain. LabVantage’s laboratory informatics enforces the quality requirements of food and beverage organizations by providing data traceability, accessibility, reporting, and other critical capabilities necessary to ensure quality and regulatory compliance. The solution provides end-to-end management of ingredient, intermediate & finished product quality to ensure compliance with regulatory requirements (HACCP, FDA, GxP). Learn about LabVantage’s full capabilities. According to MarketsandMarkets Research, the global food safety testing market is projected to rise from USD $17 billion in 2018 to more than $24 billion by 2023 – a CAGR of 7.7%. As the food safety testing market continues to grow, challenges increase and Laboratory Informatics Management Systems play an increasingly vital role. The food and beverage industry faces lab testing challenges spanning multiple disciplines – chemistry, microbiology, label testing, shelf-life testing, site auditing and more. Most food manufacturers outsource at least a portion – and often all – of these tasks to third party labs. There are a number of reasons outsourced lab testing is a preferred option in the food processing industry. These range from the high cost of lab infrastructure and manpower, to the need for specific (and constantly evolving) know-how, staffing shortages, unpredictable changes in testing volumes, regulatory expertise, and meeting industry accreditations (e.g., FDA, USDA, ANSI, ISO 17025, AOAC). To address these challenges, food & beverage producers might typically run specific common tests in-house while outsourcing most others to contract labs. Even larger companies – with in-house labs – generally offload sample testing as needed. Food Safety Net Services (FSNS) is a leading national network of accredited testing labs. They provide a wide range of microbiological and chemistry testing services to the food processing and nutraceutical industries. Heavily-customized legacy LIMS are unable to keep up with the demands, technologies and workflows of today’s labs. They suffer from difficulties with upgrading, and offer no thin client or browser-based solutions – the best bet for multi-lab LIMS usage. FSNS was no exception. For FSNS, the platform also wasn’t keeping up with features. The system couldn’t offer newer LIMS capabilities, and wasn’t able to be further retrofitted to accommodate the organization’s growth. These challenges aren’t unusual…in fact, they’re common. Businesses grow, objectives change and LIMS capabilities advance. Interfaces improve, regulatory guidance & workflows are updated, and cross-platform data integrations become easier. As LIMS platforms have become more capable, the need for intuitive, easy-to-use interfaces for expanding user bases has grown. Many customer-supporting organizations – including FSNS – require solutions which support frequent customer audits. Another key criterion for most testing labs? The ability to connect sophisticated lab instruments to a LIMS for automated data capture – eliminating the manpower and potential human errors that can occur with manual data entry. FSNS, like many contract testing lab organizations, needed a modern, dynamic, flexible and 100% browser-based LIMS with the ability to support common food testing sample types. A critical requirement of the LIMS – deliver superior system performance and offer scalability to meet the growing demands of the business. The system also needed to have both simple lab equipment connectivity (e.g. digital scales) as well as complex bi-directional interfaces with computer-driven instrumentation. A common browser-based interface for all users across the organization was a key requirement. The system also needed to interface with other systems, including Great Plains Accounting Software, customer systems & SharePoint. A customer experience-driven portal to provide world-class service and deliver their customers live access to data. Overall ability to handle complex and emerging business needs. LabVantage’s FSNS install offered a browser-based user interface, and flexible sample types to eliminate test assignment mistakes and faster operating speed. The LIMS standardized custom sample types across multiple locations, speeding up login data processing by 15%. It also provided the option to enter multiple sample data on same screens, reducing data entry time by nearly 15%. Page refresh is about 50% faster than legacy system. The system allows access to 50+ concurrent FSNS users without performance compromises. The LIMS provided the necessary audit trails for full traceability and audit purposes. If your food safety lab struggles with productivity, connectivity or workflow-related challenges, learn more about FSNS’s experience with LabVantage in this case study. You may also want to explore LabVantage Food & Beverage. Food & Beverage is purpose-built solution providing comprehensive, end-to-end management of ingredient, intermediate & finished product quality to ensure compliance with HACCP, FDA and GxP requirements. LabVantage Food & Beverage enforces the quality and regulatory requirements of food and beverage organizations by providing data traceability, accessibility, reporting, and other critical capabilities. Why LabVantage Food and Beverage LIMS? 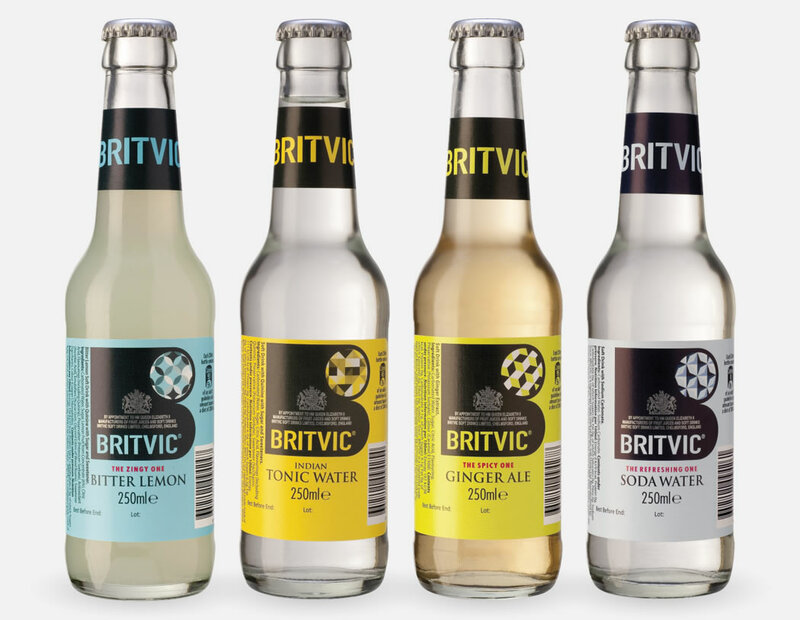 Selling more than 1.1 billion liters of ready-to-drink soft drinks annually in almost 400 different flavors, shapes, and sizes, Britvic supplies more than 250,000 retailers, and has 20 facilities throughout the UK. Today’s business covers a range of leading brands, including Tango, R Whites, and the UK franchises for Pepsi and 7UP, as well as the UK’s ninth biggest grocery brand, Robinson’s. See how Britvic, which processes more than 20,000 samples per year, used LABVANTAGE products and services to improve their production for the last 15 years.